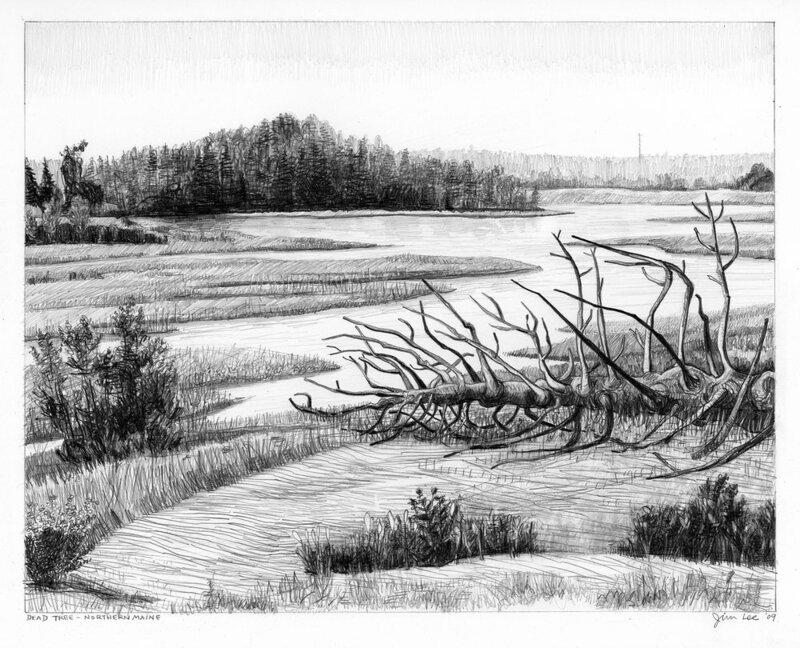 This work is based on the coast of northeastern Maine, the Bay of Fundy and Cape Breton Island in Nova Scotia. This region has a particular history of inhabitation and colonization by various groups, beginning with the indigenous native Mi’kmaq Indian people. 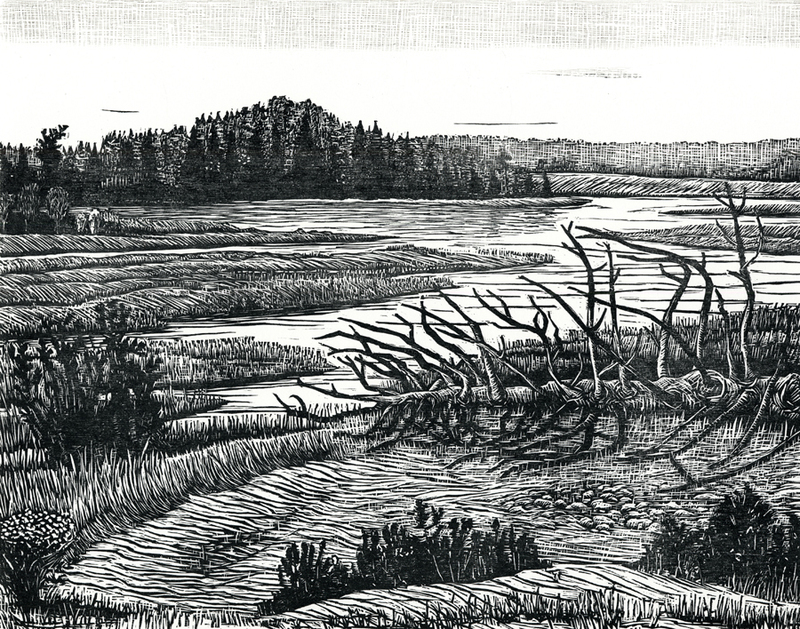 Then came the French Acadians, the English, Irish and the Highland Scots, which has led to a rich melding of cultures, with a particular feeling for the land and the sea. 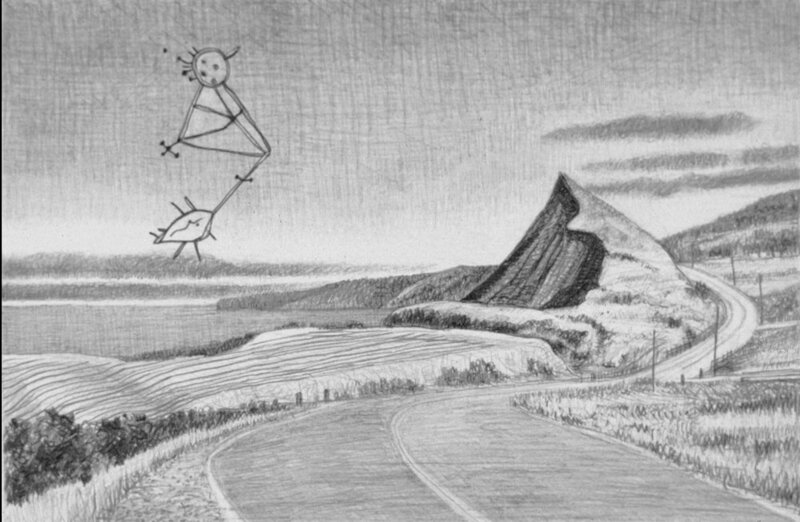 Symbolic images from the various people who have lived in the region and references to their history and myth sometimes combine with the landscape to produce a somewhat mysterious concoction of visual poetry.